Waste in government is common place. As a former government employee, I’m sure I’ve even helped contribute to some of the shortfall in a very small way (even if it was on a state level). But, it appears the money wasted in healthcare is pretty robust, according to a new report by PBS News Hour. (Perhaps I’ve double dipped in the wasted money pool since my government experience was gained in a healthcare organization). According to the News Hour piece, via the Institute of Medicine, the healthcare industry wastes more than $750 billion a year (or it did in 2009). The money was lost in a variety of areas. Specifically: unnecessary services, inefficiently delivered care, excess administrative costs, inflated prices, missed prevention opportunities and fraud. What’s wonderful about the PBS piece, though, is how well it illustrates how other industries would be affected if they operated as “efficiently” as healthcare. Banking: ATM transactions would take not seconds but perhaps days or longer as a result of unavailable or misplaced records. Home Building: carpenters, electricians and plumbers each would work with different blueprints, with very little coordination. Shopping: product prices would not be posted, and the price charged would vary widely within the same store, depending on the source of payment. Automobile Manufacturing: warranties for cars that require manufacturers to pay for defects would not exist. As a result, few factories would seek to monitor and improve production line performance and product quality. Airline Travel: each pilot would be free to design his or her own pre-flight safety check, or not to perform one at all. Fun stuff, huh? Let’s look at how PBS took it a step further. Let’s put it in perspective: of every dollar spent in healthcare, 30 cents is wasted. And where could all that money go? The wasted money is enough to cover the salaries of all of the major league baseball player’s salaries more than 260 times, All Stars and all. The $750 billion could cover the price tag for the 2012 London Olympic Games more than 50 times. That wasted money could cover the healthcare of all U.S. veterans from the last 51 years could easily be covered. Think students have a tough time trying to pay for their college educations? The $750 billion in wasted healthcare costs could cover the tuition of all 17 and 18 year olds for four years including room and board. That’s staggering, simply staggering. If you’re into the Defense Department, the waste could cover its entire budget for a year. Maybe foreign aide is more your thing. How about this: The healthcare waste could cover everything we’ve given to other countries in aide since 1974, with quite a bit left over. If none of those facts hit home, perhaps this one will: All the waste in the industry could cover all the healthcare costs of uninsured Americans (in 2008) more than six times. The good thing about waste is that it typically turns out to be someone else’s treasure. Something to think about or maybe that’s the point. 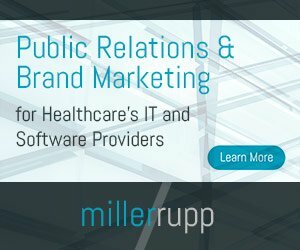 Salary Survey: Who Makes the Most Money in Health IT?